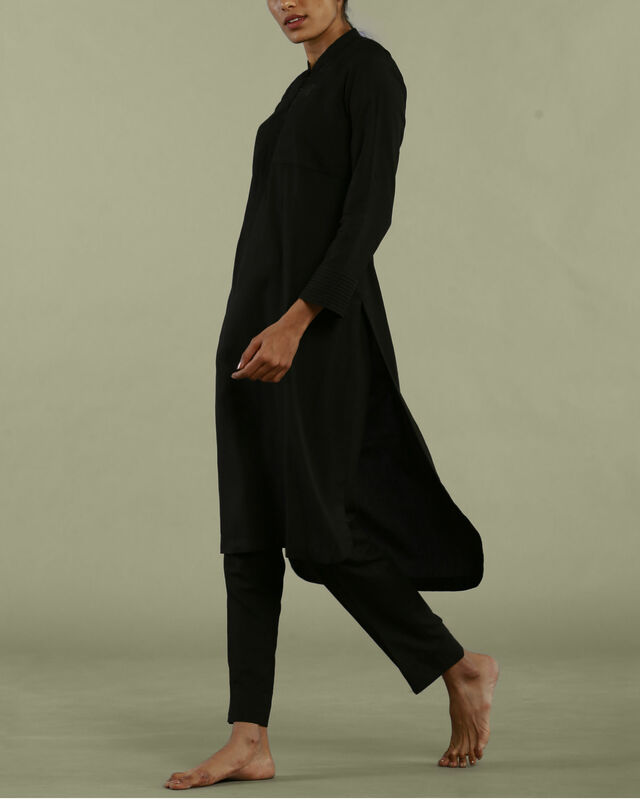 The black tunic with collared neckline is made in rich liva fabric. It comes with a mandarin collar and is adorned with embroidered rosettes in satin finish liva creme with stitch line detailing on yoke. It has stitch line detailing on collar and sleeve border and intricate texture tiles on back yoke. * ankle length pants are not sold as part of this ensemble.